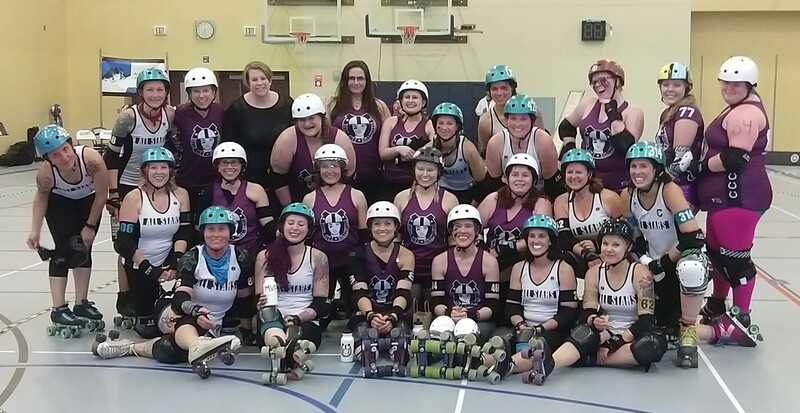 The Rodeo City Rollergirls ended their 2017-2018 season on Saturday night at Ellensburg High School by taking on the Gorge Roller Girls. Gorge took a 294-115 win over Rodeo. Rodeo’s Yo-Yo Mauler received the MVP Jammer award and Hula C Nation received MVP Blocker. We’d like to thank all of our fans, volunteers and sponsors for making this season possible. We’d also like to give a shout out to Bryan Clark Photography for his years of making us look good in photos. He will be moving on and we are looking for a new photographer. If you are interested email pr@rodeocityrollergirls.com for more information.